Deity Components worked with TMAC for three years to develop their new pedal (click to enlarge). The new Deity TMAC pedal has been in development for so long we were starting to believe it was vaporware. 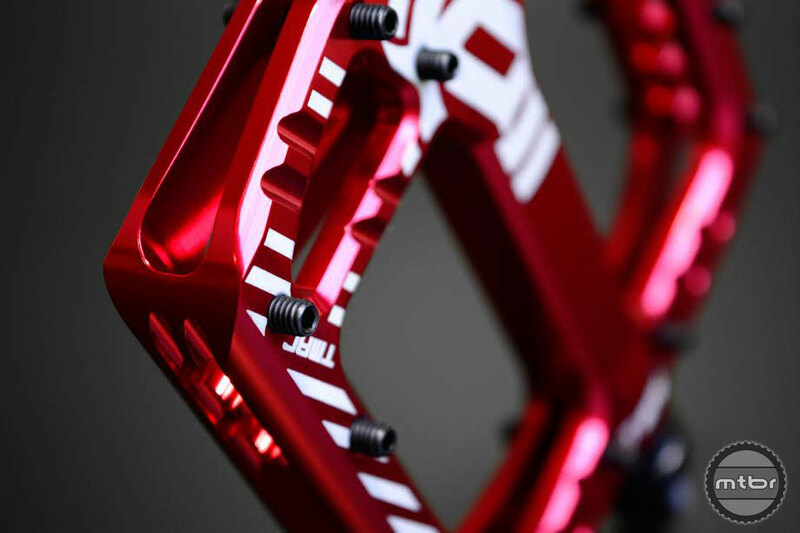 The truth is Deity and freeride star Tyler McCaul are perfectionists and they spent three years designing and redesigning this platform pdeal. 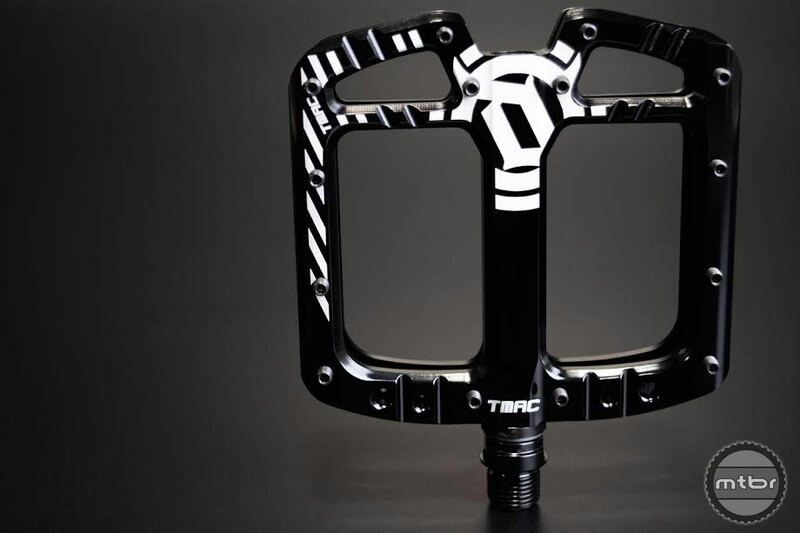 Unlike most platform pedals, the TMAC uses a symmetrical shape that is centered on the axle (click to enlarge). We remember catching the first glimpse of these signature pedals under McCaul back in 2012 at the Sea Otter Classic. The changes they’ve made since are drastic. The original mold had a different profile, which they liked, but didn’t love. After examining footage of pedal slips and testing with dozens of riders, it became clear that the issue was the lack of rearward support, so they began thinking about a symmetrical shape. To test the concept, Deity created a weight driven machine that would apply downward force on the pedal. They also studied the time it took for the foot to land securely in various configurations (click to enlarge). During the heyday of thick pedals in the 1990s and early 2000s, offset pedal profiles became the standard because of the foot’s need to engage the pedal quicker due to the incredibly thick profile. As pedals have become thinner, there is a reduced benefit to this offset profile because the foot is now so much closer to the spindle and the outer trailing edges are smaller. The new TMAC pedal offers more concavity than any other platform pedals on the market (click to enlarge). To further increase grip, the actual platform of the pedal has a concave profile. 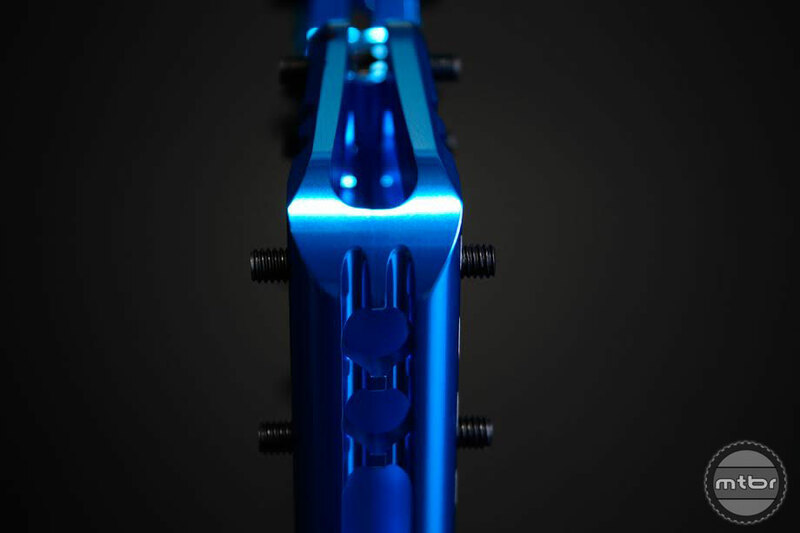 The outside of the forged 6061 T6 aluminum body is 2.5mm taller around the edges and tapers down to 14mm at the center. Each side of the pedal has 14 pins that are dual sided, which makes them easy to remove if they break or bend. After forging, Deity did additional machining to reduce weight and improve traction (click to enlarge). The platform body has a 110x105mm footprint and rotates on a combination of micro sealed bearings and DU bushings. 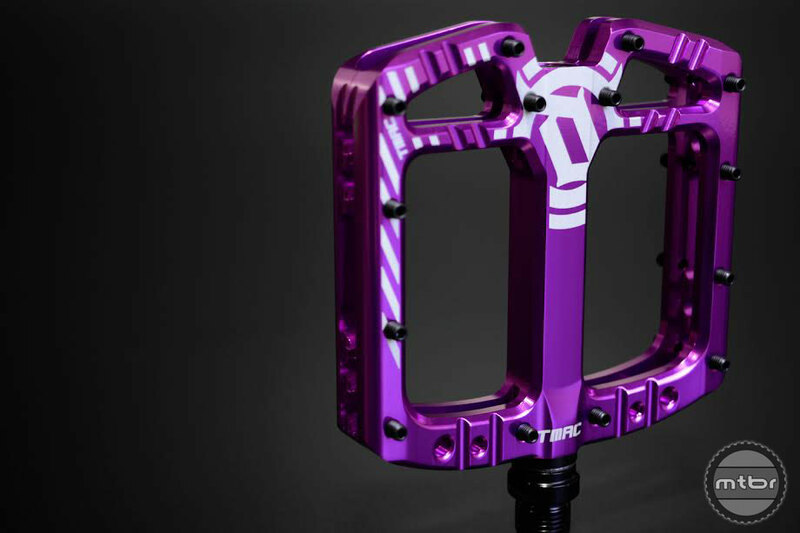 The pedals are available now in five high polished anodized colors or a white powdercoat. MSRP: $169. Claimed weight: 409 grams per set. Deity worked with TMAC for three years to develop their new pedal. 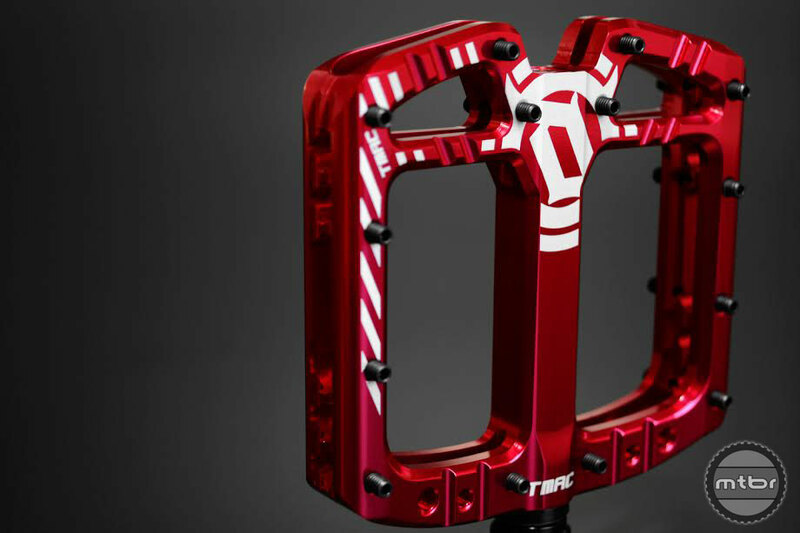 Unlike most platform pedals, the TMAC uses a symmetrical shape that is centered on the axle. To test the concept, Deity created a weight driven machine that would apply downward force on the pedal. They also timed the time it took for the foot to land securely in various configurations. The new TMAC pedal offers more concavity than any other platform on the market. After forging, Deity did additional machining to reduce weight and improve traction. Clips vs Flats: Which pedal is more efficient?